Convention-over-configuration, sensible defaults, opinionated APIs, and the Groovy language combine to make Grails easy to learn for Java developers. Grails is built on top of Spring Boot and leverages Spring Boot's time-saving features, such as Spring-powered dependency injection. Grails seamlessly and transparently integrates and interoperates with Java, the JVM, and existing Java EE containers. 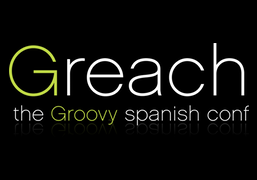 Apache Groovy is a language for the Java platform designed to enhance developers' productivity. It is an optionally-typed and dynamic language but with static-typing and static compilation capabilities. Grails seamlessly integrates with GORM, a data access toolkit that provides a rich set of APIs for accessing relational and non-relational data. 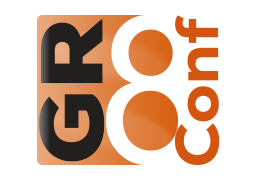 GORM also includes implementations for Hibernate (SQL), MongoDB, Cassandra, and Neo4j. Developers can build plugins that extend and enhance Grails, or they can access existing plugins published by a vibrant plugin community. Technologies such as GSP, JSON Views, and Markup Views help developers effortlessly generate HTML, JSON and XML. The async features of Grails aim to simplify concurrent programming. Grails' features include the concept of Promises, a unified event model, and the use of RxJava to write reactive logic. Grails is an Open Source Apache 2 License project. Grails relies on expressive domain-specific languages (DSLs) for validation, querying, markup rendering, and more. Developers can access support at any time via IDEs and text editors, such as Intellij IDEA, Eclipse, Sublime, and Textmate. Enhance your knowledge and skills with some of the most recognizable names from the Groovy development scene from all around the world. Experience three days full of Groovy and Grails talks and networking ... plus our famous Friday Beers Party!